New report from IoT Analytics finds $174M in Industrial & IoT Blockchain spending today and predicts the market will expand to $573M by 2023 – driven by encouraging pilot project results and ongoing corporate investments. The IoT Analytics report titled “Industrial & IoT Blockchain Market 2019-2023” revealed over 15 blockchain-based use cases for Industrial & IoT settings outside of banking, finance, and insurance, including food origin, safety, quality tracking, microgrid, and energy trading. Supply Chain was identified as the #1 application area for blockchain from an Industrial & IoT project standpoint. Spending for Industrial & IoT Blockchain reached $174M in 2018, much of which was dedicated to early stage pilot projects. The report outlines a scenario-based approach to estimate the size of the market. The upper limit scenario denotes the best-case scenario for the market while the lower limit refers to the worst-case scenario. 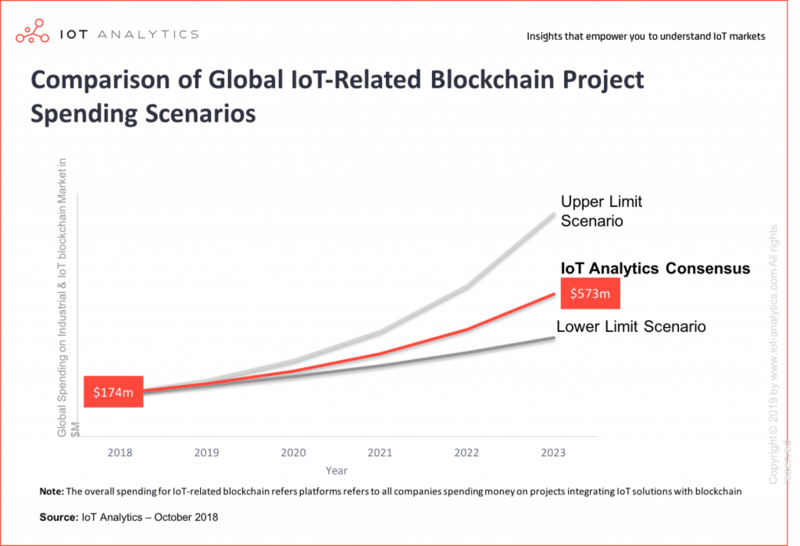 The IoT Analytics consensus case is closer to the lower limit scenario and forecasts spending to be just under $573M by 2023. He cautioned that beyond the hype, blockchain remains a viable technology and several industrial companies continue to invest and explore. “Make no mistake – at an estimated $147M, this is not a big market today and based on our observations, there won’t be an explosion anytime soon. We expect a clean-up of the landscape and then there will be solid growth somewhere between the upper and lower scenarios that we defined as part of the analysis. 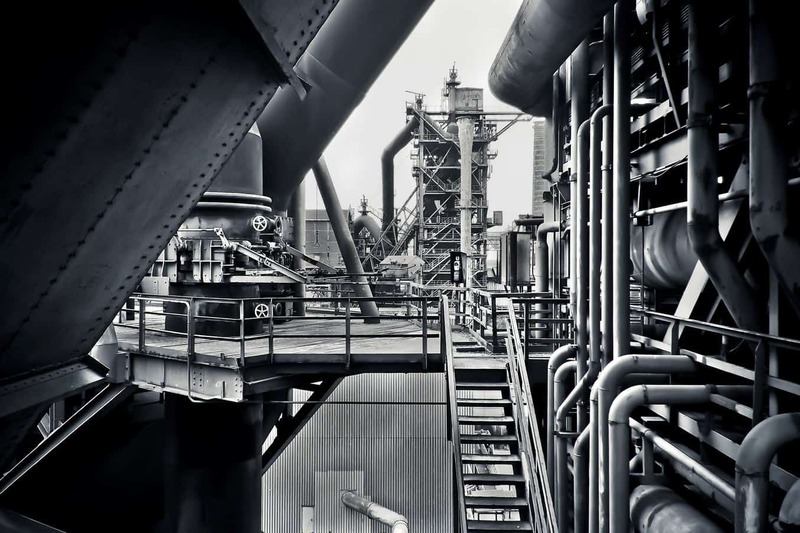 There clearly is value for a number of industrial and IoT-related use cases as the technology evolves. One should note that cryptocurrencies will play a minor role in these settings,” concluded Lueth.